Travel expense management provider Concur unveiled its snapshot study of the state of business travel over the last year, giving the industry a semblance of the actions and practices of the modern road warrior. You can see a great deal more of the study that compiled information from Concur’s users, which numbers at around 40 million worldwide. As you would imagine, scouring the details behind expense reports would offer amazing insight into the various travel habits of those sent out to bang the drum of their respective company back home. According to the report, the sharing economy is quite healthy at the moment and only seems to be growing in popularity with those who typically opt for a hotel replete with Wi-Fi and other amenities. Specifically, Concur stated that those using home-sharing services like Airbnb and HomeAway now represents a 56 percent increase. Travel for business means working a great deal of the day, so it’s obvious that many would go the typical route to ensure there is some measure of consistency in what is offered at their respective rental. It seems more and more travelers are fine simply trusting that a stay at someone’s house or back studio are sufficient for their purposes. And it isn’t just that these kinds of properties are being used regularly; it’s that they are motivating business travelers to lurk awhile in the area and soak it all up. The interesting part of these reports is putting personas to the numbers. 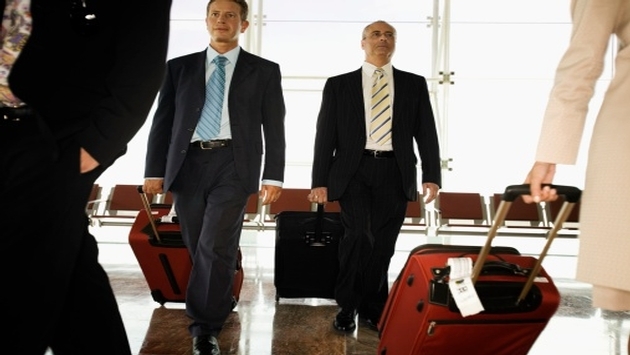 Concur offers six business traveler types, such as power travelers referred to as Savvy Sams. READ MORE: What Do Airlines’ Second Quarter Results Mean for Airfares? According to Concur, over half of roaming corporate travelers are Cautious Carls, folks that still only amount to 14 percent of total business spending. Cautious Carls remain those people who rarely traipse from the home office, only heading out on a business trip twice a year. Of course, that means they aren’t exactly keen on the company protocol and tricks of the trade. Robb Nielsen, vice president of global product experience at Concur, explained that the varied types of traveler and the myriad ways to enjoy these kinds of trips means management is paramount to supervisors. Some more intriguing tidbits from the study highlight such aspects of the industry as China’s emergence as a leader in the business travel marketplace internationally. And if you want some remarkable trivia then you are well take care of, because Concur notes items such as the greatest expense line item. It came in at a whopping $2.2 million. It kind of puts your lunch at the hotel bar into perspective.